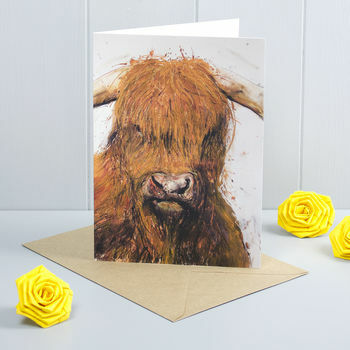 A beautiful art highland cow greeting card to celebrate life's many occasions. 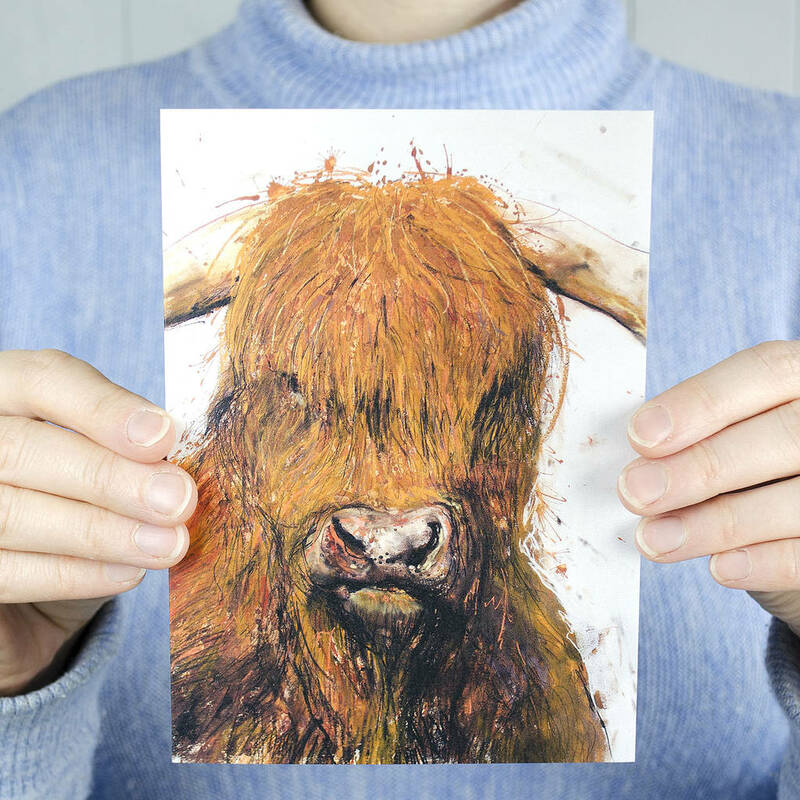 The greeting card would be perfect for any animal lover young or old, particularly for those who are fond of cows or who are from Scotland or who happen to be called Angus. It would suit many of life's occasions like a birthday, anniversary, good luck, thank you or anything you like, the choice is yours.